It is common for every business to stay in touch with their customers and clients on a regular basis. After all, staying in touch with their customers help promote their business products and services, offers and promotions on a continuing basis. At the crossroad, bulk SMS comes into handy as it helps in setting up comfortable professional connection without costing a fortune. Also, in this competitive day and age, mobile phones have become an indispensable part of life and SMS are coincidentally instrumental in staying connected with target customers. According to a survey, it has become evident that approximately 99% of people readily open the SMS they have received. With this in mind, SMS marketing acts as a wonderful tool to keep the target audience informed about anything you want to share with them. 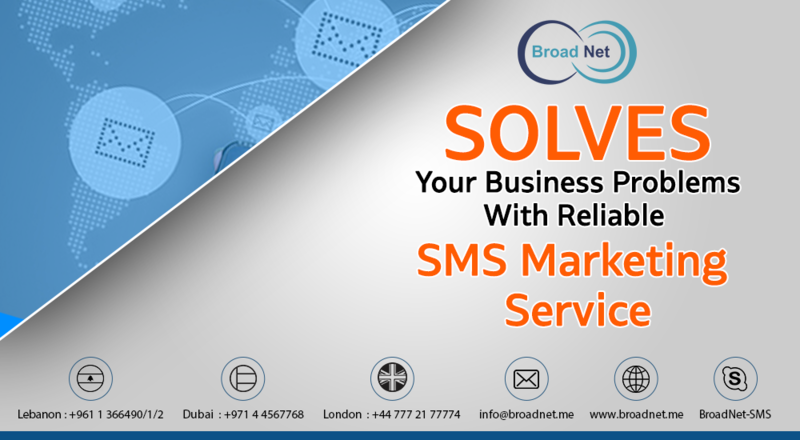 BroadNet is a legendary and a premier bulk SMS service provider in Lebanon, the UK and the UAE offering brilliant and instant bulk SMS marketing services that work wonderfully in promoting your business. It is an up-and-coming bulk SMS provider company offering a diversity of packages along with client support services to help clients in promoting their business, solve their business problems and give it the visibility in the most valuable fashion. 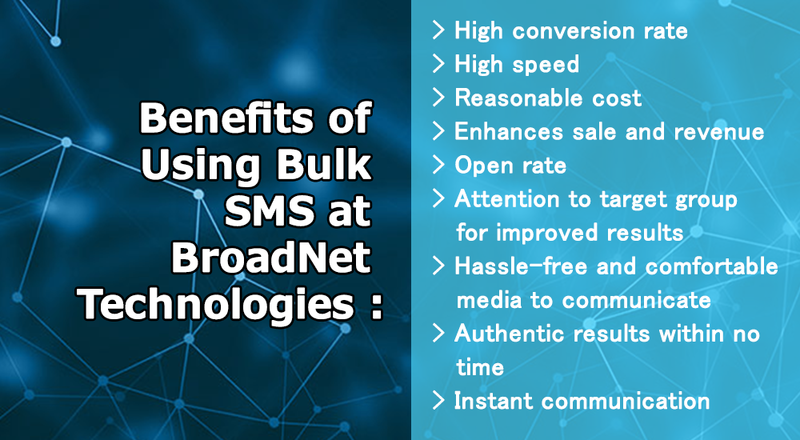 The leading bulk SMS Company gives a scrupulous attention to the needs of the clients and offer client-centric services to help them promote their business efficiently.